Women adore shoes and, let’s face it, we find them as important as a perfume, luxurious jewelry or a purse. Men will never understand us, but we are crazy about accessories, especially shoes. But, sometimes money is tight and you have to look for some cheap shoes for women. So, should you do so? In some cases, certainly not – for example, if you want to be sure your shoes will last. Or if you need them for some special activity, such as hiking or running. But, in many other cases, cheap shoes are an option. 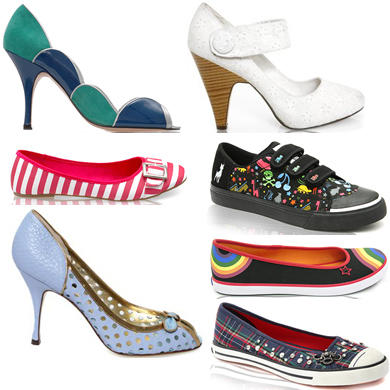 We will try to share some tips and trick with you on how to buy cheap shoes wisely. Dressing up appropriately will work in your benefit. It is one of the very important things these days. Every individual wants to look the best. With some planning and effort, you can have your desired look. There are many types of fashion items for both men and women. From shoes, jewelries, accessories to costumes everything plays an important role in making you look wonderful. Apart from fashion costumes and accessories for adults, designers are also creating items for kids these days. Chloe Green has proved herself a legitimate high-heel enthusiast by creating her very own shoe collection. The sensational launch of her CJG designer line was held at The Arts Club in London. Including a shoe box photo booth and other dazzling decor additions, the event was everything one would expect of a born and raised Topshop heiress. Can You Really Tell a Man’s Personality by His Shoes? There’s an old notion that you can tell a lot about a man by the shoes he wears on his feet. Is it judgmental? Yes. Does it work? The jury’s still out on that one. Shoes are probably the single most important fashion accessory that we wear. Just like your clothes, your shoes show off your personal style and fashion sense. They also protect your feet, which is the important part. Since shoes are such a big part of our wardrobe, they must hold some kind of deeper significance, right? Perhaps they do. Let’s explore. Shoes are an extension of your personal grooming and appearance. If you place a lot of emphasis on looking polished and put together, you probably wouldn’t wear mud-covered sneakers in public. 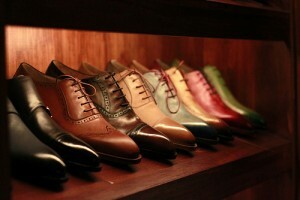 If a man cares about the way he looks, including his shoes, he wants to look his best. In this way, his shoes can give some clues into his personality. If he isn’t concerned about dirty or beat up-looking shoes, he doesn’t place too much importance on looks. Although this could also mean two totally different things: that he doesn’t care at all about how he looks, or he just realizes that there are more important things so he doesn’t want to try too hard. Men can wear many different types of shoes. They can wear boots, dress shoes, sneakers, sandals, loafers, and a host of other styles. They’re all appropriate for different occasions. If you want to judge a man by his shoes, you need the context of where he is or where he’s going to when he’s wearing them. It wouldn’t be fair to judge them without that knowledge. If he’s wearing dress shoes to the mall, he might care a little bit too much about how he looks. If he wears boots everywhere he goes, he doesn’t have much of a concern about style. If he’s wearing sneakers at the gym, that’s a good thing. If you happen to get the opportunity to peak into a man’s closet and see all of his shoes, you can get some rare and valuable insight. If a man has many different pairs of shoes, it could mean he’s overly concerned with appearance, or that he likes to be prepared for any occasion. If all he owns are sneakers, he might be competitive, a fitness buff, or he might prefer comfort to style. The range of his shoes could signify the range of his personality. A diverse collection could mean he’s a deep person, while a limited collection could mean he’s simpler. When you consider it, a man’s shoes don’t really reveal much about his personality. The only thing they tell you about is his fashion sense, and you can’t tell what type of person he really is by his style. Lots of men aren’t too astute in the fashion department, so try not to judge their personalities by their footwear. Michelle Leigh is a self described ‘Fashionista’ and freelance writer who enjoys covering topics from style to men. She is obsessive about her appearance and never leaves home without her cosmetic brushes handy! 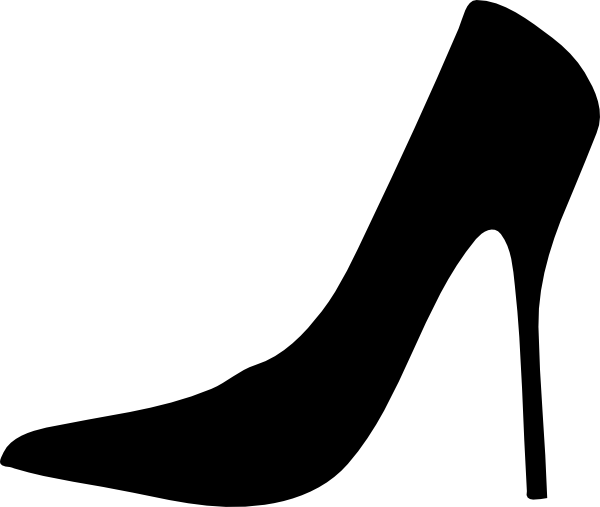 Types of Women’s Shoes – An Interesting Affair! It’s good to know about women’s shoes, guys and gals! For those guys who want to impress their girlfriends or wives with the knowledge and for those gals who want to be up-to-date forever, good knowledge of shoes is always good! So, we’ll talk here about the types of women’s footwear and you’ll like it! Weddings are wonderful joyful events and getting married is almost like daydreaming. Bride wants to feel like a celebrity or a princess, like she is in the center of the Universe. One of the greatest passion women have is the passion for shoes. So, if in our everyday life we want to have the perfect pair of shoes, it is obvious that on that special day our bridal shoes must be special, astonishing and unique. Crystal Heels designer bridal shoes may the perfect choice for future brides – they create customized bridal shoes with Swarovski rhinestones. Each pair oh handmade wedding shoes by Crystal Heels is limited and comes with a certificate of authenticity.